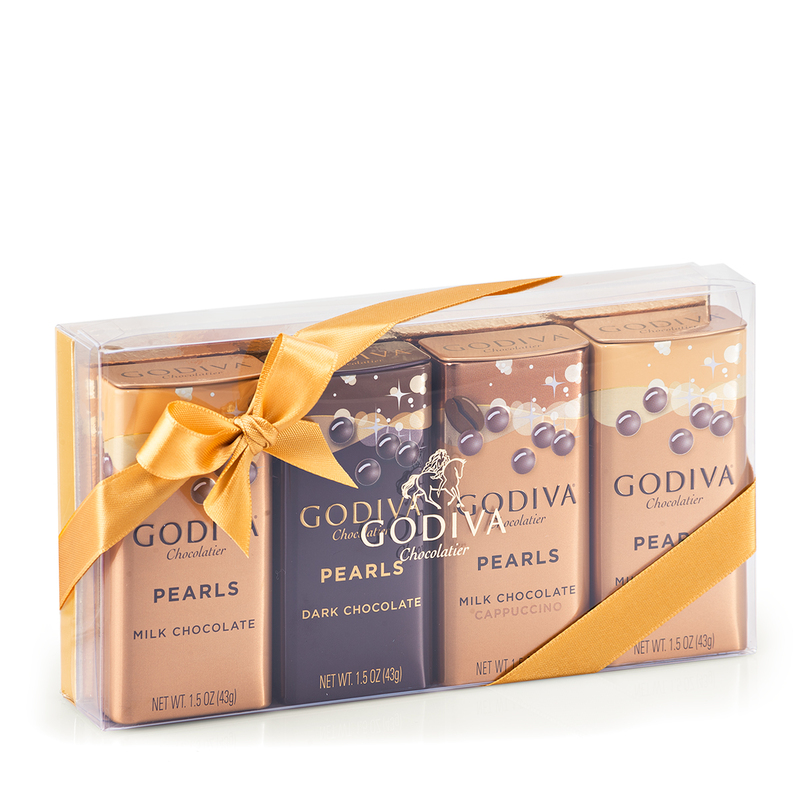 Treat your favorite chocolate lover to this tempting collection of Godiva Pearls! 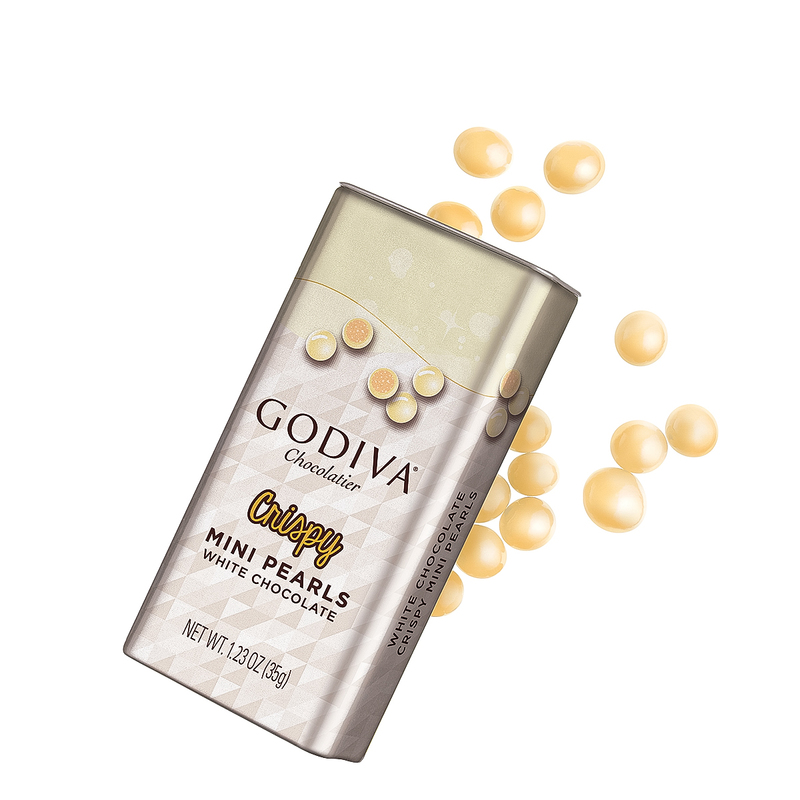 The 8 tins of Godiva Pearls and Crispy Mini Pearls are the perfect way to enjoy Godiva chocolate anytime, anywhere. 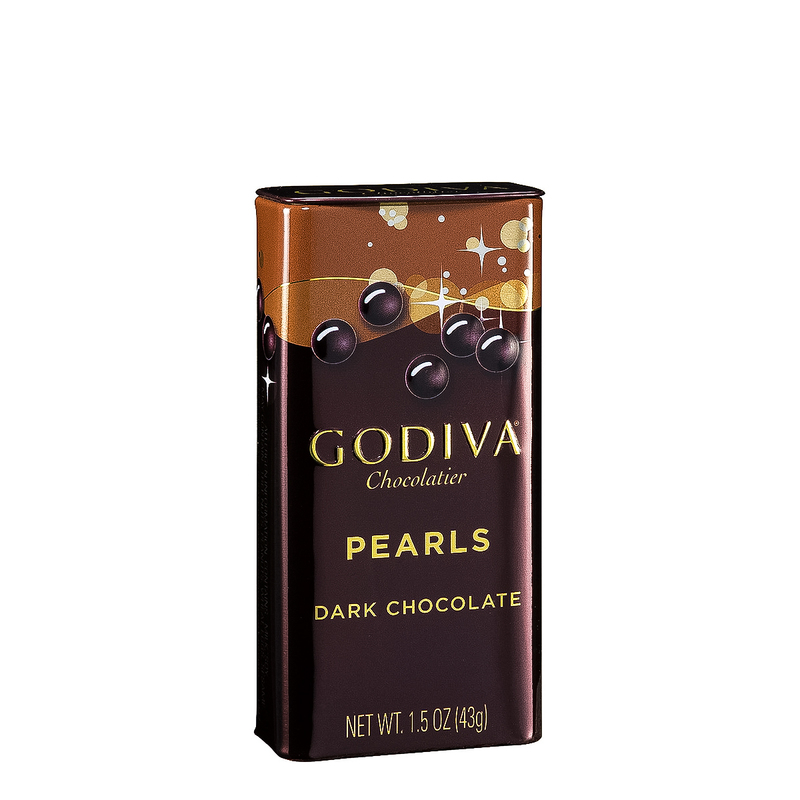 Godiva Pearls are delicious little Belgian chocolate confections. 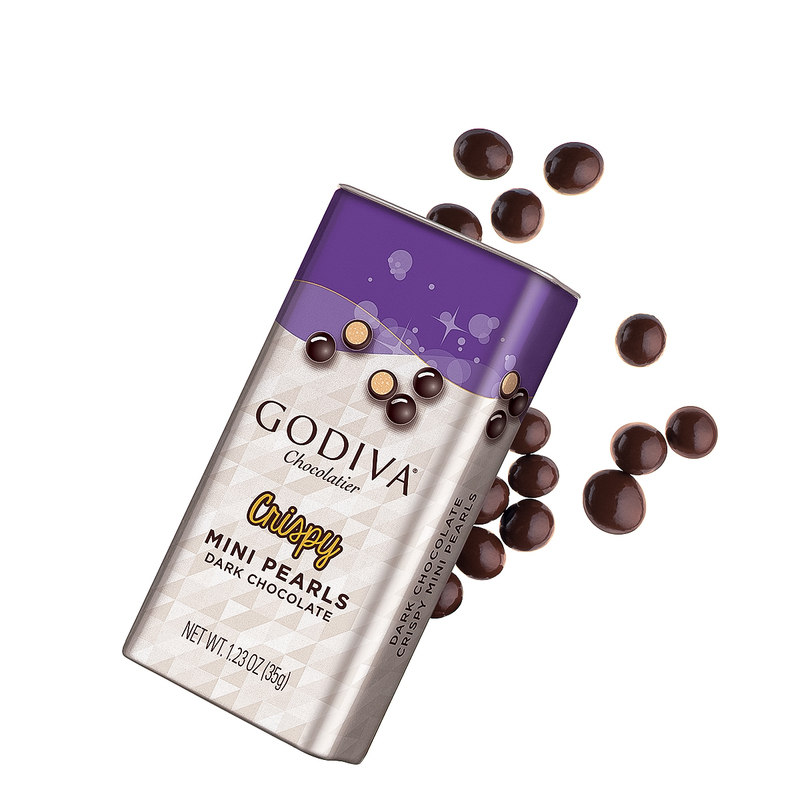 The Crispy Mini Pearls have a light, crispy puffed rice center for a delightful little crunch. All Godiva Pearls come in handy pocket-sized tins so you are never separated from your Godiva. 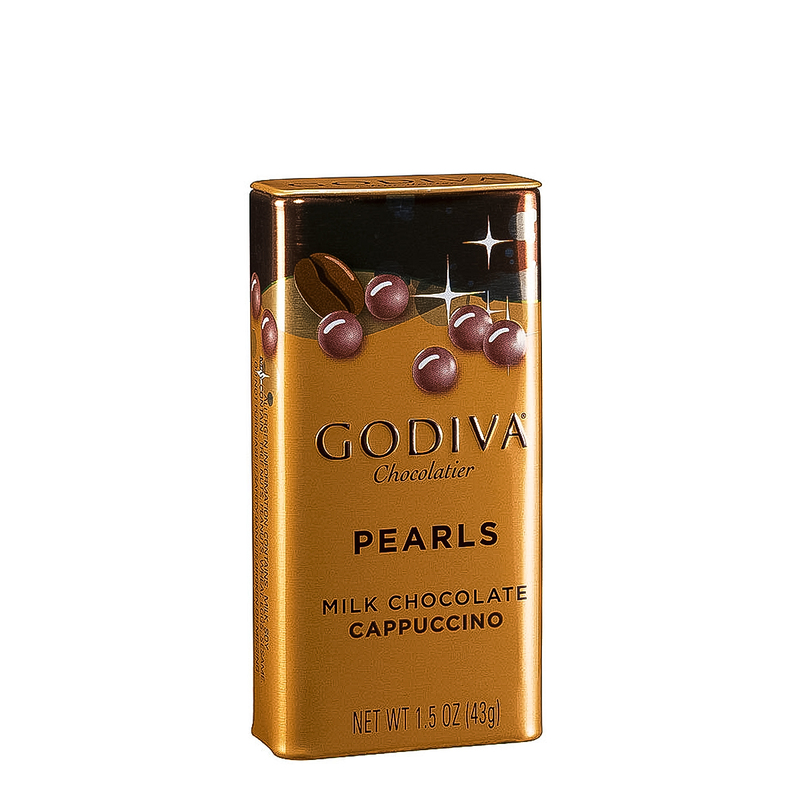 The tempting flavors include: milk chocolate, dark chocolate, milk cappuccino, crispy milk chocolate, crispy white chocolate, and crispy dark chocolate. 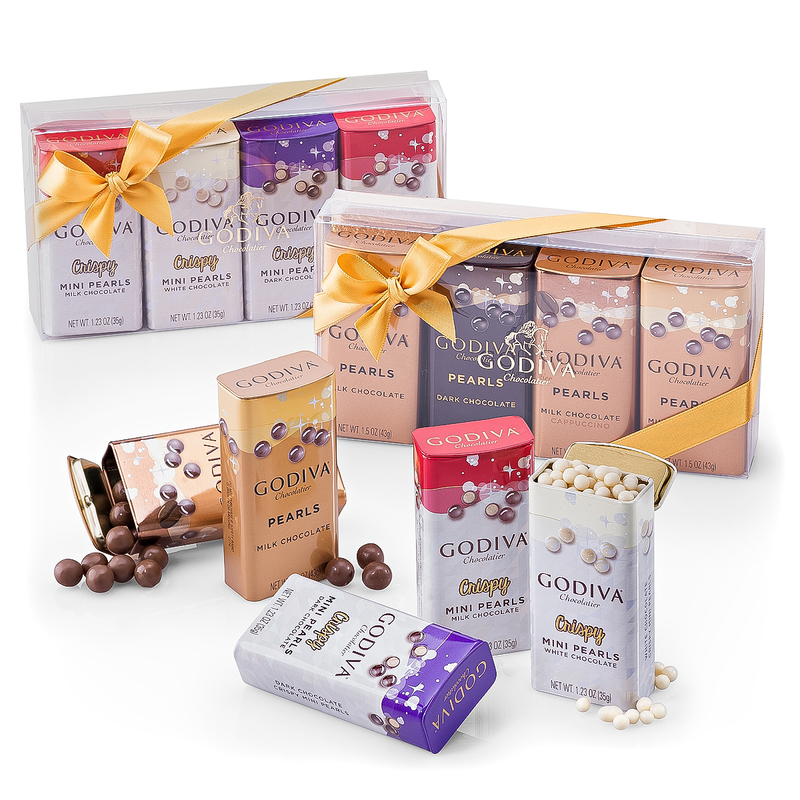 The tins are tied with a bow for a festive gift presentation. 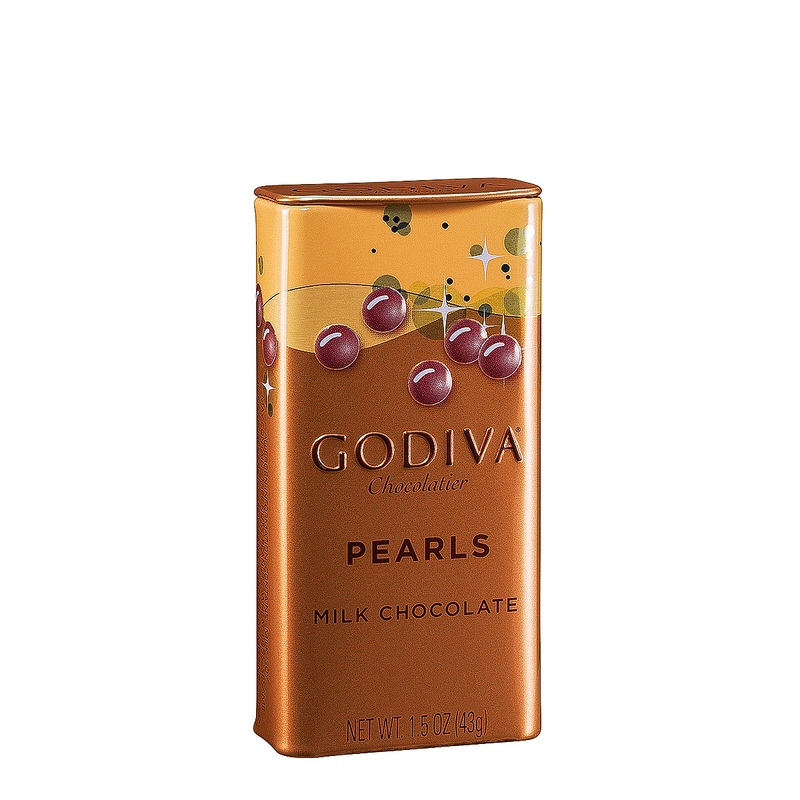 Ingredients: sugar, cocoa butter, full cream milk powder, wheat flour, cocoa mass, whey powder, wheat malt flour, glazing agent (glucose syrup, sugar, E414, vegetable oil (palm), modified starch), raising agent (E500), wheat starch, emulsifier (soy lecithin), natural vanilla flavouring, salt, spices. 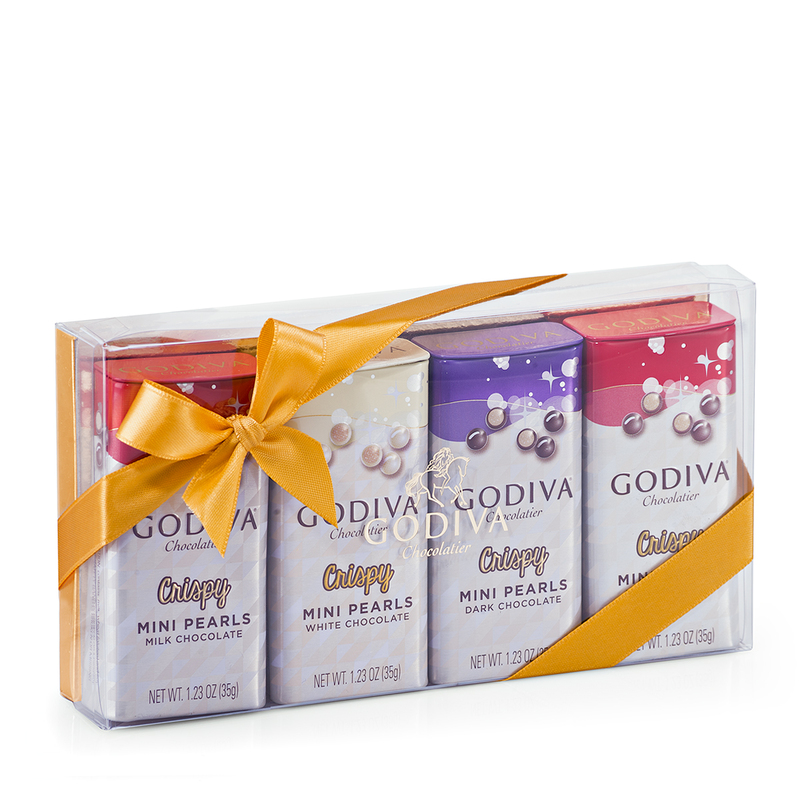 Allergy Advice: May contain milk products, tree nuts, soya and gluten. Nutrition Declaration per 100g: Energy 511kcal - total fat 26 g - saturates fat 16 g - carbohydrates 62 g - sugars 53 g - protein 6 g - salt 0,31 g.
Ingredients: Sugar, cocoa mass, wheat flour, cocoa butter, butter oil, wheat malt flour, glazing agent (glucose syrup, sugar, E414, vegetable oil (palm), modified starch), raising agent (E500), wheat starch, emulsifier (soy lecithin), natural vanilla flavouring, salt. Nutrition Declaration per 100g: Energy 505 kcal, total fat 28 g, saturate fat 18 g, carbohydrates 52 g, sugars 42 g, protein 6 g, salt 0.08 g.